Jill focuses on helping businesses of all sizes and in a variety of industries with their employment law needs. She provides practical advice to employers regarding compliance with the many federal and state laws that govern the workplace and regularly provides training for supervisors and human resource professionals. 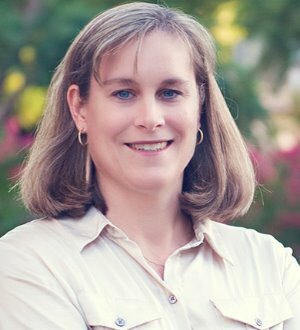 When disputes arise, Jill represents employers before administrative agencies, in arbitration proceedings, and in litigation in federal and state courts regarding a variety of employment-related claims. Jill joined Coppersmith Brockelman in 2008 after practicing for 13 years at regional and national firms in Boston and Phoenix. A collegiate and Olympic swimmer before embarking on her legal career, Jill brings both a natural competitiveness and a sense of sportsmanship to her law practice. Providing guidance to businesses regarding compliance with workplace laws and regulations, including Title VII, FMLA, ADA, ADEA, NLRA, the WARN Act, I-9 and E-Verify requirements, and federal and state wage and hour laws. Helping employers understand and minimize risks associated with personnel decisions, including medical leaves of absence, discipline and discharge. Preparing offer letters, employment contracts, confidentiality agreements, separation agreements, employee handbooks, policies, and other employment-related documents. Assisting with planning and implementation of reductions in force (RIFs). Training human resources personnel and front-line managers regarding the workplace legal environment, including prevention of unlawful discrimination and harassment. Investigating and responding to administrative charges and complaints filed with the EEOC, NLRB, DOL, ACRD, and other government agencies, and guiding employers through agency audits and investigations. Representing employers in lawsuits alleging violation of employment laws, including discrimination, harassment, retaliation, wrongful discharge, and unpaid wages. Providing advice and prosecuting and defending claims arising out of employee departures, including alleged breaches of post-employment restrictive covenants. Counsel for America West Airlines in Galati v. America West Airlines, Inc., 6 P.3d 1011 (Ariz. Ct. App. 2003) (affirming dismissal of wrongful discharge claim brought by alleged whistleblower under the Arizona Employment Protection Act). Author of FMLA chapter and contributor to ADEA chapter in the Arizona Employment Law Handbook, Vol. 2 (2d ed. 2007). Contributor since 2007 for Arizona Business Gazette "Ask the Experts" column on employment issues.